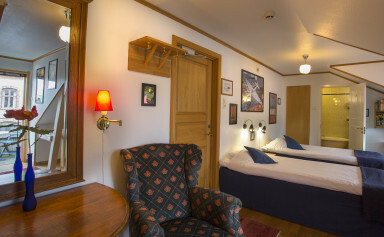 Hotel Gästis have 70 rooms of varying sizes. All rooms are charmingly furnished with that personal touch and a mix of antique furniture and new, the latter are bespoke and manufactured by a local cabinetmaker. Just like all the other areas at Gästis, we obviously have an abundance of books and combine that with all the facilities a modern hotel should offer. The breakfast buffet is always complimentary for our overnight guests. 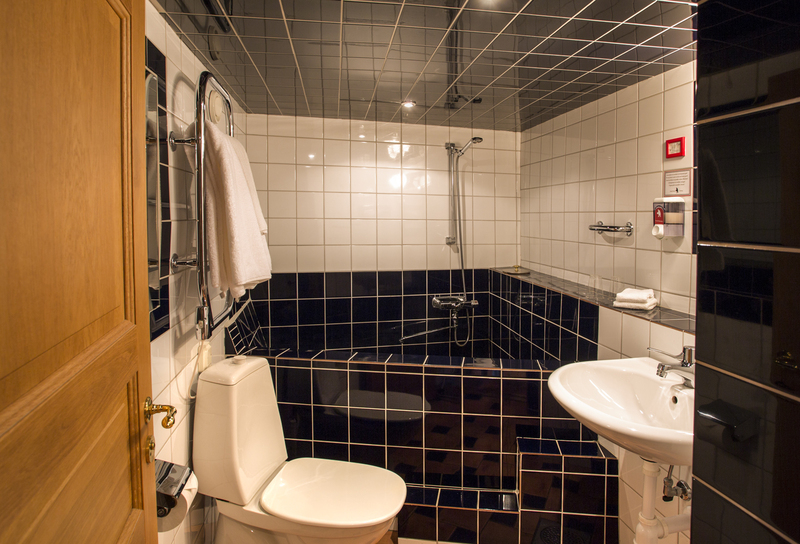 In the beautiful 17th century cellar underneath Villa Gästis, you’ll find the hotel’s most stunning room. The vaulted ceiling, the narrow basement windows and the whitewashed walls provide an atmospheric, medieval feeling. 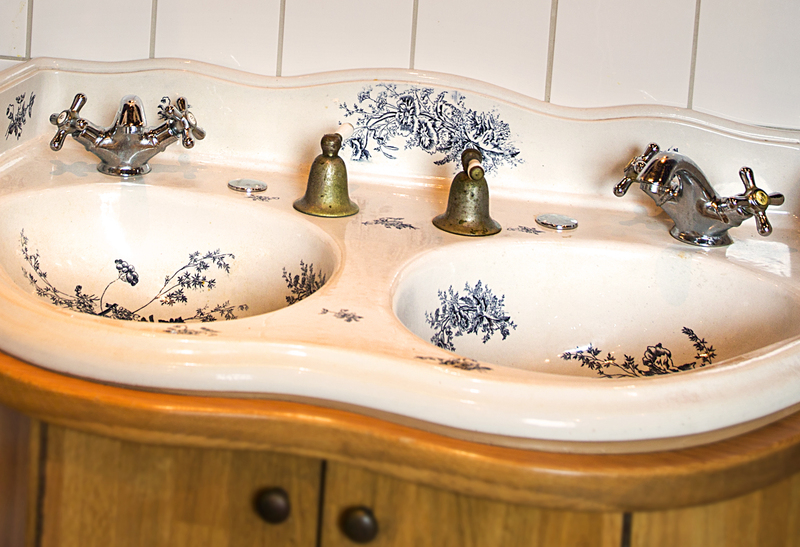 The room has a bespoke bathtub and is very popular with newly-weds – and other romantic couples! – and is often used as a Bridal Suite. The bride and groom in the old photograph above the bed are current hotel owner’s great grandparents, who had a long and very happy life together. Families should have the opportunity to stay at hotels too! 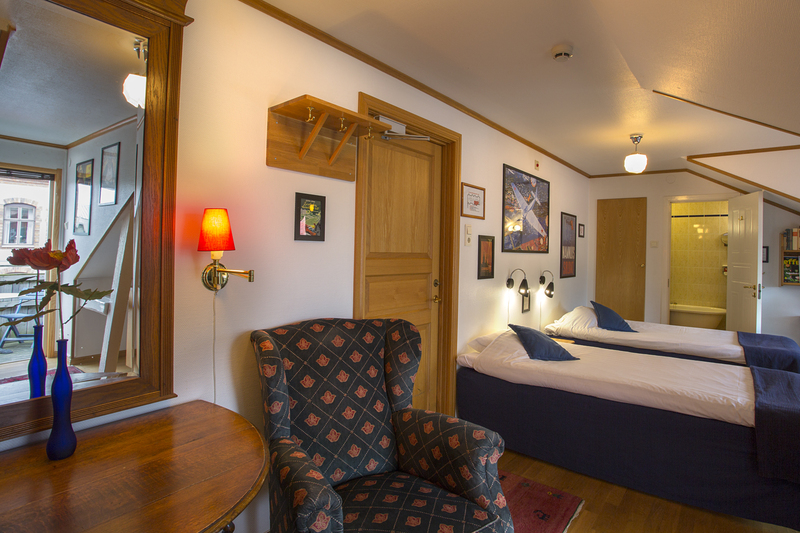 At Hotel Gästis we have family rooms of a larger size, that sleeps three or four (and if you require more than that, we’ll do our best to accommodate that too). 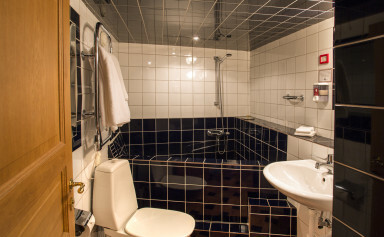 If you need to stay a bit longer, we can normally accommodate that too!